Artyom Sergeyevich Dzyuba is a Russian professional footballer who is popularly known as Artem Dzyuba. He plays as a striker for football club Zenith is also known as Zenit Saint Petersburg and the Russian national football team. 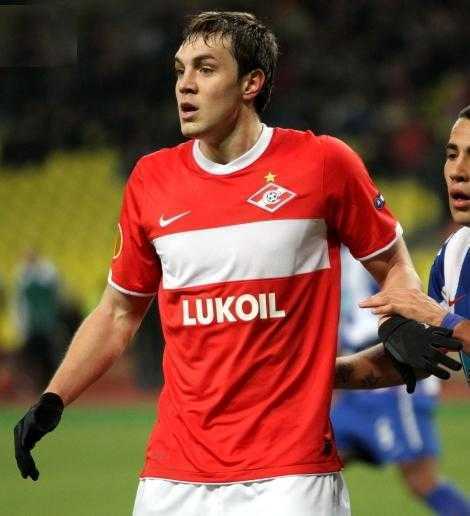 Artem Dzyuba was born on 22 August 1988 in Moscow, Soviet Union. His full name is Artyom Sergeyevich Dzyuba. 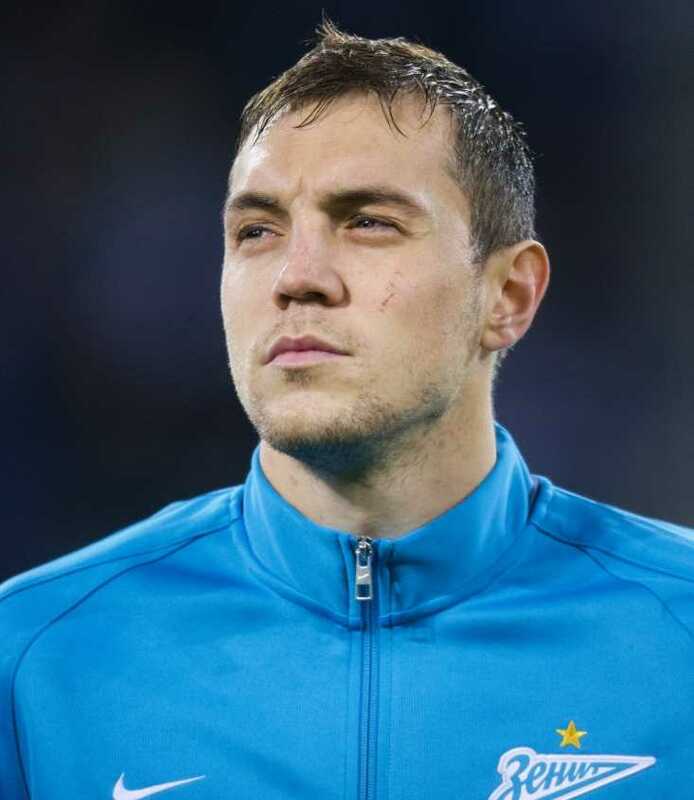 His father name is Sergei Dzyuba who is a Ukrainian and mother name is Svetlana Dzyuba who is a Russian. Olga Dzyuba is his sister name. He took an interest in sports early. At eight, he was accepted to “Spartak” academy. Aleksandra Yartsev selected him and gave him the recommendation. This is how Artem Dzyuba’s sports career started. He is a Russian professional footballer who plays for football club Zenith is also known as Zenit Saint Petersburg and the Russian national football team as a striker. He began his career with Spartak Moscow debuting in 2006. Finally, he made his senior international debut for Russia in 2011. Artyom Dzyuba started playing for the team’s reserve after attending Spartak Moscow’s football team in 2005. He first played for the first team in a Russian Cup match in 2006. FC Tom Tomsk signed him on loan until December 2009 on 7 August 2009. He scored 17 goals in 2013-2014 Russian Premier League while he was loaned to FC Rostov. Andre Villas-Boas signed him for FC Zenit Saint Petersburg in 2015. Later he joined FC Arsenal Tula on 31 January 2018. After Dzyuba became the part of Russia U-21 side which was competing in the 2011 European Under-21 Championship qualification. He made his Russia national football team debut on 11 November 2011. He was called up to the provisional squad for UEFA Euro 2012 but was not included in the finalized squad. After the World Cup, the new manager Leonid Slutsky regularly chose Dzyuba. He was chosen for UEFA Euro 2016. He scored his first goal on September 2014. Exactly in a year, he scored four goals. Dzyuba is married and his wife name is Kristina Dzyuba. They met each other in Nizhny Novgorod. After that, they married in a month. In 2013 their son was born. Once there was a scandal between popular TV presenter Maria Orzel and Dzyuba. They both were married. Later he felt ashamed, confessed in front of his wife, and managed to save his family. Dzyuba made his debut in 2018 FIFA World Cup. He was included in Russia’s extended 2018 FIFA World Cup squad on May 2018. At first, he came as a substitute in the opening game on 14 June 2018 and scored the third goal, which made them win over Saudi Arabia by 5-0. He continued his splendid performance by again scoring a goal in the second match, which made them win over Egypt by 3-1 on 19 June 2018. This victory sends Russia to the knockout stage for the first time. At the round of sixteen, the match was against Spain in which he converted a penalty. Ultimately, Russia won the match defeating Spain on penalty shootout on 1 July 2018. This success made Russia to create a history.